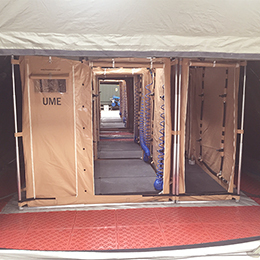 Decontamination Shower is a mobile and modular solution that can be configured based on the decontamination requirements for valid, injured or disabled people based on the scenario. It provides an effective decontamination for people or causalities in any Hazmat incident. 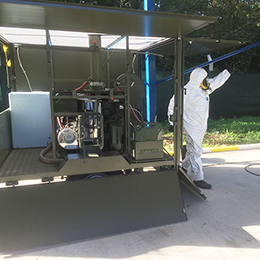 Decontamination Shower provides to First Responders and Hazmat Response Teams with a flexible and rapid deployment solution for decontamination of people harmed in a CBRN incident. Autonomous (in combination with Decontamination Equipment AQUILES or ATILA). 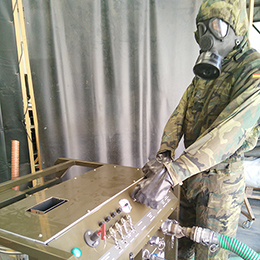 As complement of CBRN Decontamination Rapid Deployment systems (RELIDE or PDPOL). Integrated in Mass Decontamination Stations for people decontamination. 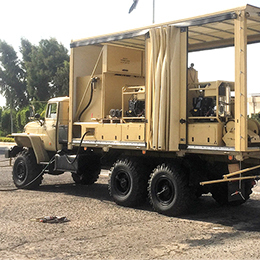 Transport and deployment in field operations can be done in just 4 minutes as it contains the patented design (with water system integrated in shower structure). Decon Shower is configured with 2 Decontamination Lines, providing 2-Decontamination phases (Decon and Rinsing) in each line at the same time. 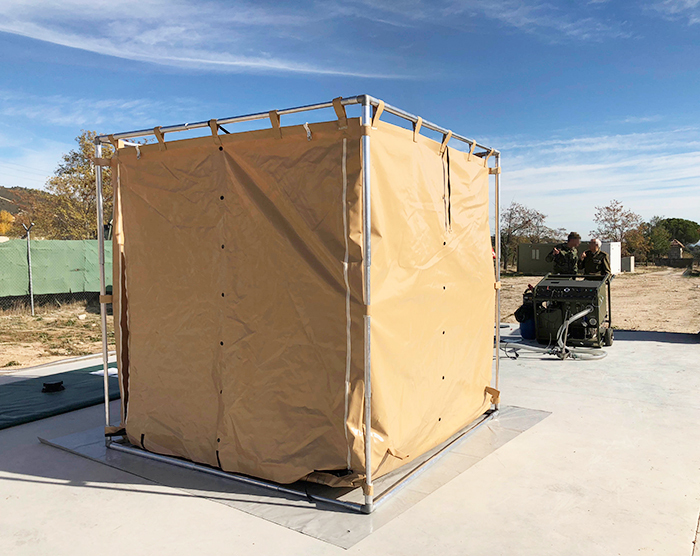 Decontamination Shower is built on aluminum structure, walls and floor one piece (on PVC with polyester fiber), 3 emulsion nozzles per position, and Decon guns for wounded and disabled people.